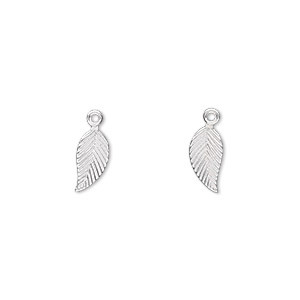 Item Number: H20-5155FY Have a question about this item? 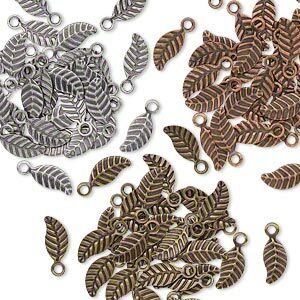 Delicate and intricately detailed stamped charms are a lightweight and elegant touch to jewelry designs. 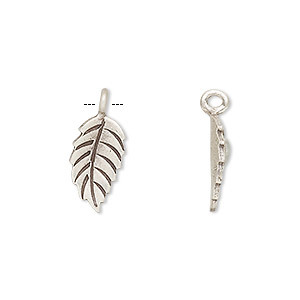 Hand-stamped into leaf shape using a metal press with a specially designed cavity to create precision-cut, single-sided charms. Package contains both left- and right-facing components ideal for use in designs which may require opposite-facing pieces. 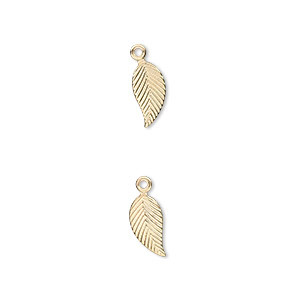 Charm, 14Kt gold-filled, 10x5mm single-sided left- and right-facing textured leaf. Sold per pkg of 2. 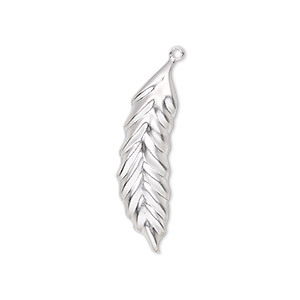 Charm, sterling silver, 29x9mm single-sided marquise leaf. Sold individually. 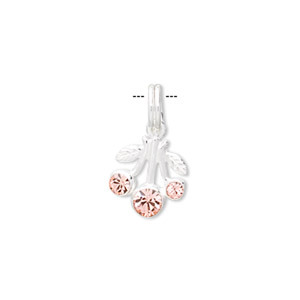 Charm, sterling silver and champagne crystal, 14x12mm leaves and fruit. Sold individually. 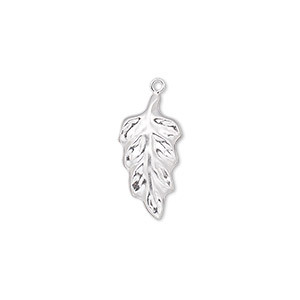 Charm, sterling silver, 10x9mm single-sided leaf. Sold individually. 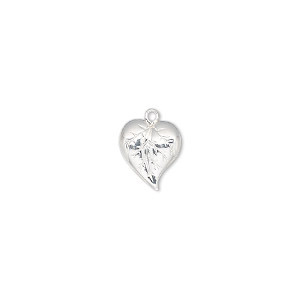 Charm, sterling silver, 18x9mm single-sided leaf. Sold individually. 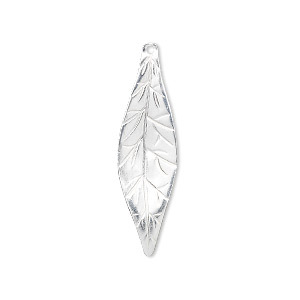 Charm, sterling silver, 29x11mm single-sided leaf. Sold individually. 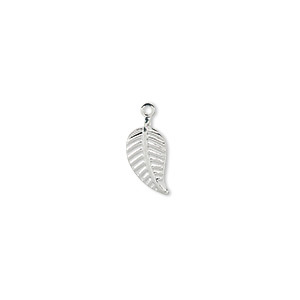 Charm, sterling silver, 7.5x5mm single-sided flat leaf. Sold individually.